Want to try GNOME 3.22? This is the Linux Distro you're looking for! 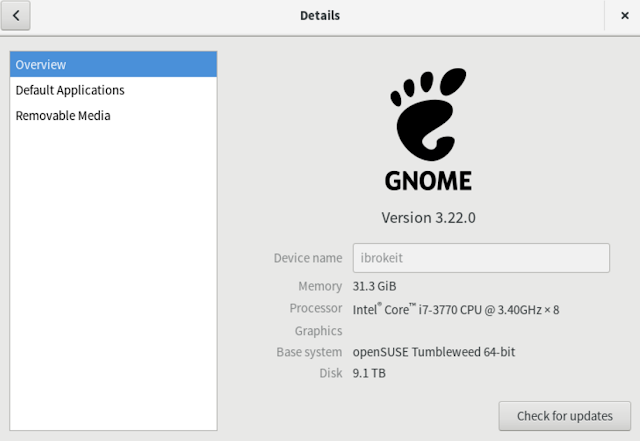 GNOME is perhaps *the* the most popular Linux desktop envoronment out there. 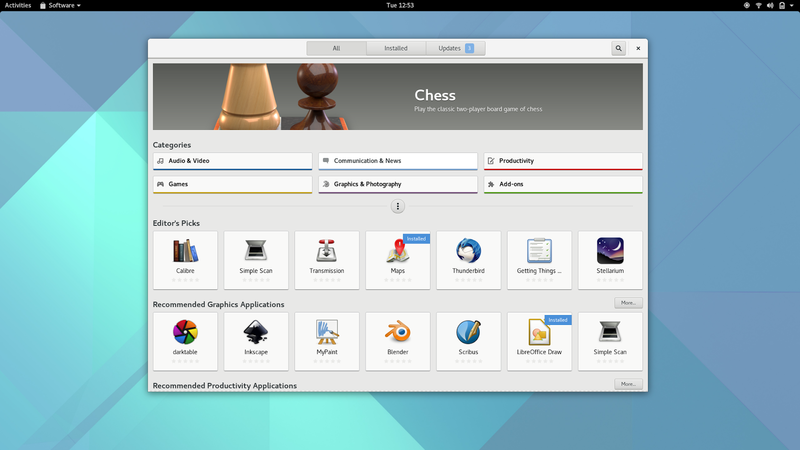 And GNOME 3.22 is the latest stable release from GNOME foundation. Yet, it is almost impossible to find a mainstream Linux distro that ships the latest and greatest from GNOME. Ubuntu 16.04 LTS for example has no plans to bring this GNOME release to its users anytime soon. Forget Ubuntu 16.04 LTS, the still-in-development Ubuntu 16.10 will have GNOME 3.20 by default. But there is this one particular distro that already has the latest GNOME 3.22! Say Hello to openSUSE Tumbleweed! Ubuntu 16.10 "Yakkety Yak" will have GNOME 3.20 by default. You might be able to upgrade GNOME 3.20 to 3.22 with some unofficial PPAs, but that is not a perfect solution, especially on productions machines. Worry not, openSUSE Tumbleweed has you covered. The Tumbleweed distribution is a pure 'rolling release version of openSUSE containing the latest stable versions of all software instead of relying on rigid periodic release cycles.' Tumbleweed is based on openSUSE's main development codebase and is updated once the codebase's bleeding edge software has been integrated, stabilized and tested. In effect, openSUSE Tumbleweed contains the latest stable applications and is ready and reliable for daily use. This image was tweeted by openSUSE Chairman himself. Less than 48 hours after the unveiling of GNOME 3.22 (Karlsruhe), openSUSE Tumbleweed users are getting the full upstream experience of the latest GNOME. Official announcement by openSUSE on GNOME 3.22 integration can be found here. Also read: Tumbleweed download and installation instructions. I have just completed the download, but haven't tested it on any of my machines yet. Will hopefully do a full review on GNOME 3.22 once that's done. Keep in mind that, Debian Unstable and Arch Linux also have updated GNOME 3.22 packages. But as far as I understand, both versions are not really recommended for daily use. Since I have never used Arch, I can never be sure about this. Feel free to correct me if I wrongly assumed Arch's GNOME 3.22 implementation to be less stable. Thanks for reading. If all goes well, we'll be reviewing GNOME 3.22 with openSUSE Tumbleweed soon.